Owner: Shanghai Eastern Airlines Investment Co., Ltd. Designed by: Shanghai UAE Architectural Planning & Design Co., Ltd. The project is used as a new office area for China Eastern Airlines Beijing Branch. The total investment of the project is about 720 million RMB. It is one of the key construction projects of China Eastern Airlines Beijing Branch. 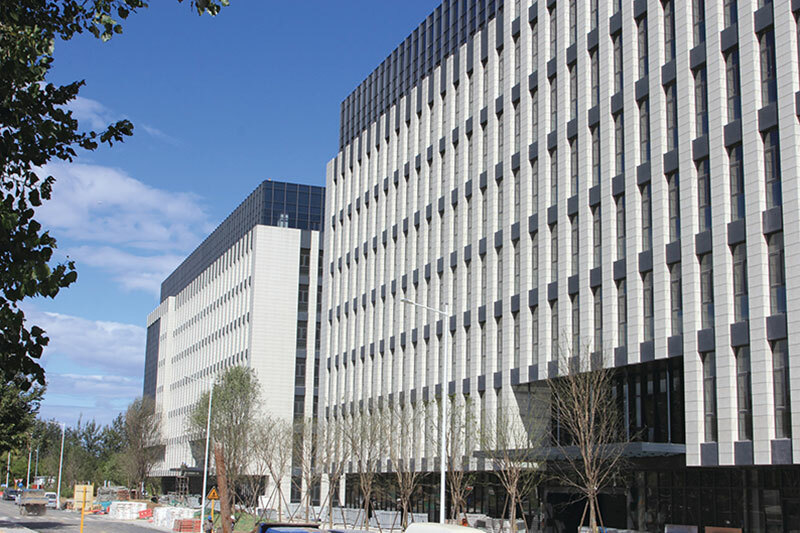 Located in the 26th block of Shunyi District, Beijing, the project connects with the airport north line to its east, No. 3 road of the bonded road area to its south, the planned road to its west, and the southern side road of the Shunping Airport’s North Line to its north. The planned total area of used land of the project is 29,343 square meters. It consists of 4 office buildings and underground garages, which are built for office and commercial projects. The overall floorage is 113,700.2 square meters, of which office is 74,226 square meters and commercial area is 5,000 square meters. The project is expected to be completed in the first half of 2019. 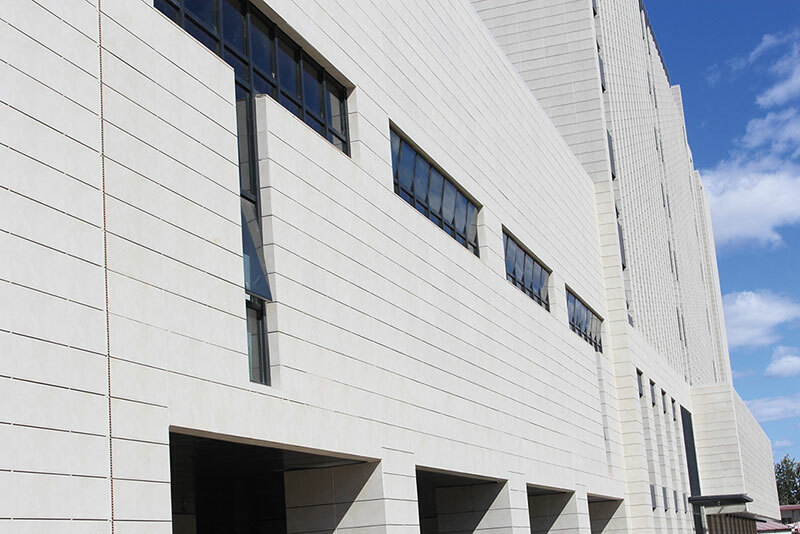 In terms of its architectural design, the project is a well-structured modern building. The designer use gray-white, dark-gray terracotta cladding and blue-gray glass curtain walls to divide the facade of the building into simple and clear architectural lines. The classic color combination of gray and white creates a calm and rational atmosphere, which is in line with the style of the office buildings for an international company like China Eastern Airlines. 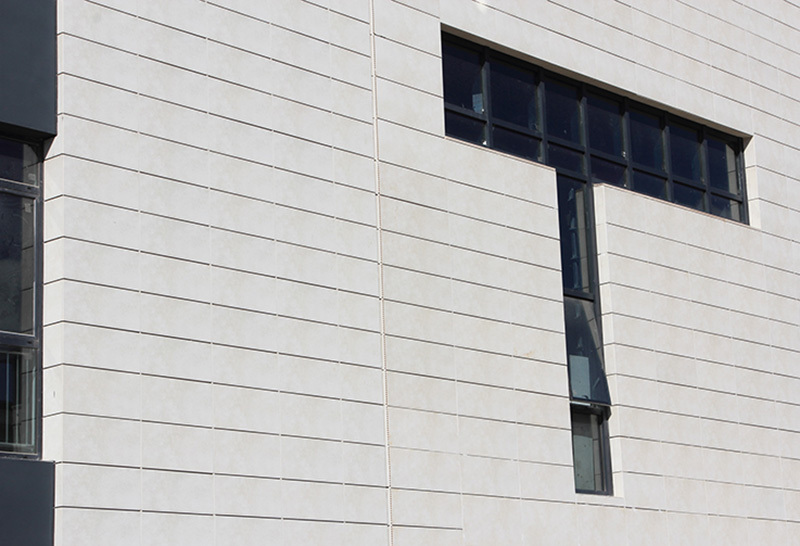 A major feature of the curtain wall material of the project is the use of 3D inkjet terracotta tiles. Viewing from a distance, the facade of the building has a gray overall tone. But as approaching the building, you can see the changing texture on the terracotta curtain wall. 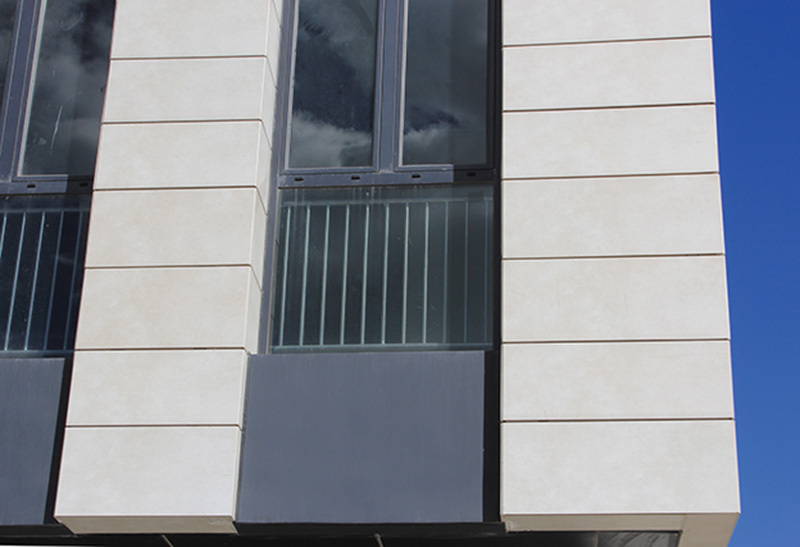 The gray and white are a bit like the natural texture of marble, and the matte glazed texture offers the building facade a minimalist impression. The digital inkjet terracotta panel is a highly featured product series of LOPO’s product portfolio. Our 3D inkjet device is the Creadigit series printer imported from an Italian brand called STSYEM. 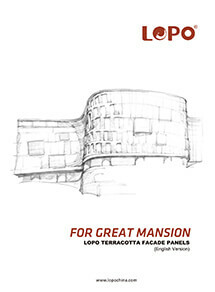 The image resolution is 400 dpi and can be used for flat and sandblasted surfaced terracotta panels. 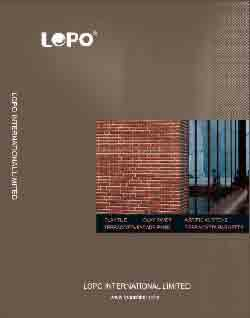 LOPO's 3D inkjet printing technology can vividly reproduce various textures of stone and wood grain on the surface of terracotta panels.